Back pain is a common problem that affects almost everyone at some point in their life. While back pain can resolve on its own with home care, if your back pain isn’t improving with time or making it difficult for you to do the things you enjoy, it could be time to schedule an appointment with Pedro Ortega, MD at Central Florida Primary Care. Dr. Ortega is an internal medicine physician who specializes in the treatment of common conditions that affect adults, including back pain. Call the Winter Park or MetroWest, Florida, office today, or schedule an appointment online. In many cases, back pain resolves on its own with rest, a change in body mechanics, and time. Finding the exact cause of your back pain can sometimes be difficult, even with diagnostic testing. Back pain is considered acute or chronic depending on how long you’ve had the pain. Acute back pain is usually caused by a fall or injury and lasts six weeks or less. Chronic back pain is pain that lasts more than three months. Dr. Ortega will evaluate your back, your symptoms, and the events leading up to the pain to help determine the cause. If necessary, he will recommend diagnostic testing such as an X-ray, MRI, or CT scan. Depending on the source and cause of your pain, injections could also be recommended. If Dr. Ortega fails to improve your pain, he can refer you to a surgeon for an evaluation and recommendation. Surgery is rarely needed, but for some patients, it can be an option that improves symptoms. 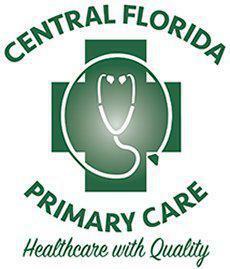 For relief from your back pain, call Central Florida Primary Care, or schedule an appointment online.